Ian’s Chapel is located in Dripping Springs, Texas, a town with a population of about 3,000. Located only about 20 miles west of Austin, TX . Many refer to Dripping Springs as the “Gateway to the Hill Country” given its location on the southern edge of the Texas Hill Country. For interstate guests, Dripping Springs is reliably under a 45 minute commute from Austin-Bergstrom International Airport. The Chapel itself is the first chapel to be assembled—that is, opposed to “built”—on Camp Lucy, as it was, in fact, first built as a French Colonial Chapel in Vietnam! The chapel was disassembled piece by piece, and shipped across the globe to be painstakingly resurrected in its new Texas home. The amount of focus and effort that went into perfecting its antique and elegant presence in the new location at Camp Lucy has truly been worth the while and has yielded an outstanding venue that has gained a rapid regard by event planners and those looking for the perfect wedding locale. The venue is large and is designed for parties of up to 300 persons. The wide ranges of menu options were personally designed by renowned chef, Rob McMahon. A large modern kitchen on site promises excellence as well as efficiency. Facilities also include a striking and open reception pavilion constructed from unique and eye-appealing ironwood beams, which is perfect for encouraging active enjoyment of dancing and fellowship for all of your guests. There is also an indoor events hall complete with thematic wrought iron chandelier, truly a perfect background for amazing group photography! 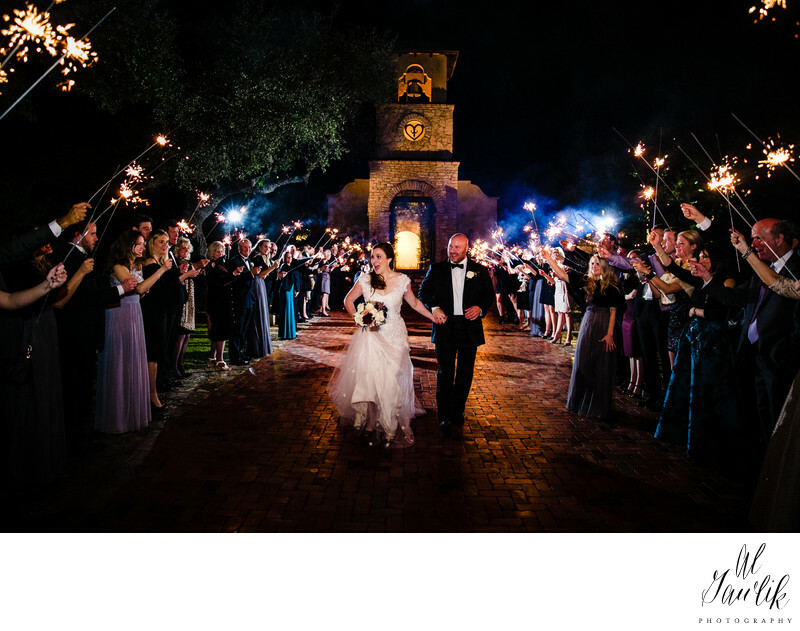 An outdoor stone archway and terrace creates an especially intimate oasis among the stunning environs of the Texas Hill Country and succeeds at achieving the most stunning photography scenes and romantic memories for new couples!